Now you have the chance to smell like your favourite shredders! The nice people at Les Ettes has send us a bottle of the parfume Want-Ette. All you need to do to get this wonderful bottle, a nice tote bag and some stickers is send us an e-mail. To win Send a e-mail with your name and address to: johan [at] kink.se. On the Les Ettes team you find some of the best snowboarders in Europe: Jenny Jones, Anne-Flore Marxer, Lisa Filzmoser and Natasza Zurek. Les Ettes have also supported the snowboard scene in different ways. Amongst others they sponsored on of our favourite snowboard movies – Float. – Les Ettes bottles are for keeping! 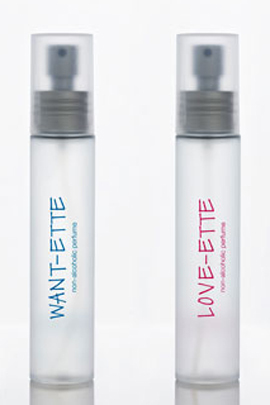 You can shop the different scents directly at Les Ettes or at your local boardstore.